The formation of what became the Women’s Royal New Zealand Naval Service was discussed as early as May 1941, but it was not until approximately a year later on the 11 April 1942 that approval was given by the War Cabinet to form the Service. On the 18th May 1942 Miss Ruth Herrick was appointed Director of the newly formed Women’s Royal Navy Service (New Zealand) later to be renamed as the Women’s Royal New Zealand Naval Service (WRNZNS). Ruth was required to build at short notice a force capable of playing a fully effective part in the war effort of the RNZN. 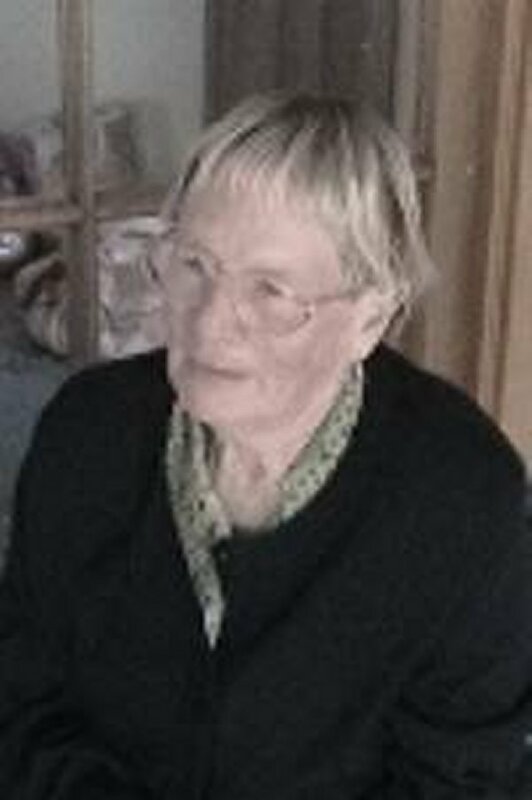 Ruth, a member of a prominent Hastings family brought her experiences as a schoolteacher and also as the Chief Commissioner of the Girl Guides in NZ to the fore and the standards she laid down continued throughout the war and were adopted again when the WRNZNS were re-formed in 1947. Miss F H (Helen) Fenwick was appointed as Ruth’s Deputy, and the work of organising the new Service began in earnest. Officially the WRNZNS was just 13 months younger than the Royal New Zealand Navy having become a Navy in its own right on the 1 October 1941. Due to the pressures of war a number of sailors had already been replaced by women in the offices of the Naval Officers in Charge at Wellington, Lyttelton, Dunedin, and in the Auckland naval establishment HMNZS PHILOMEL. Many civilian female employees took over a number of positions particularly in the supply and secretariat branch which were previously filled by naval ratings who had to be released for active service. Many of these civilian employees joined the WRNZNS as Wrens, on a voluntary basis, and those who did, although first entered in the rank of Wren, were given an antedated seniority which made them eligible for earlier promotion. Those civilians who did not become Wrens were moved to other branches, after Wrens had been trained to replace them, in accordance with the principle that uniformed and civilian employees should not be mingled in any branch of the naval service and administration. The general principle in operation was that the female employees in Navy Office and in such establishments as the Naval Dockyard, Auckland, remained civilians, while those women who worked specifically in naval establishments were Wrens. It should be mentioned here that some highly responsible duties were carried out in Navy Office by civilians, many of them women. There was considerable discussion on the conditions and status of Wrens in the Royal New Zealand Navy during late 1941 and early 1942. In practice a close imitation of the British model was adopted, with the exception that in New Zealand only a few commissions were granted on entry: most officers in the WRNZNS were promoted Wrens. The main question of principle involved in the preliminaries was whether women could be asked to work at night. It soon became obvious that a fighting service could not accept a limitation on the times of duty of its women members if they were to be of any real value. At first the members of the WRNZNS were mostly employed near their own homes, but early in 1943 it was established that Wrens must be ‘mobile’, that is, prepared to serve anywhere in New Zealand. Once the formation of the Wrens became public there was no shortage of recruits. The wartime Wrens were in every sense pioneers who created a Service from nothing. At first recruitment was carried out through the Women’s War Service Auxiliary (WWSA) and later through local manpower officers. The WRNZNS was never wholly satisfied with an arrangement which prevented direct contact between applicants and the Service itself and which was for many reasons cumbersome, even though the other Services were in the same position. It was unfortunate that, when in April 1945, Great Britain asked for 200 Wrens to serve at the British Pacific Fleet’s Australian bases, the request could not be complied with; the strength of the WRNZNS was at that time approximately 500, that is 200 below the establishment of 700, and male ratings had already replaced Wrens in some jobs simply because not enough Wrens were available. A factor which had always made it difficult to supply the Service with all the women it required was the high standard of selection. Of the first 870 applications received up to January 1943, 350 were declined because the applicants were unsuitable, insufficiently qualified, or below the medical standard. Throughout the whole period of its wartime existence the WRNZNS were below complement and eager for more recruits than were available, although the difficulty of providing living accommodation had on some occasions hampered expansion. The ‘peak’ strength of the Wrens was 519 and approximately 700 women altogether served in this branch of the Royal New Zealand Navy during the Second World War at various stations around New Zealand. “The introduction of women into sacred masculine preserves may have been accepted as a grim necessity and one of the inconveniences of wartime conditions, but the way the Navy has received the WRNZNS has given each one of us a sense of being wanted as an essential cog in the machine, however small, which if it fails, upsets the working of the whole. This recognition and appreciation goes a long way towards achieving results and gives us a pride in belonging to the service”. Finding accommodation for the first twenty-four women of Wrens that joined by the end of 1942 proved an arduous battle. Initially, some were quartered in the Wardroom at HMNZS Philomel to the great interest of the sailors on duty. Those who had family in Auckland were given permission to live at home and travel to the naval base for their duties. Later on, barracks were made available on Mount Victoria in Devonport. Because of the increase in numbers serving in Auckland by late 1943 it was clear to Ruth Herrick, the Director of the WRNZNS that suitable accommodation needed to be found in the Devonport Area. In 1944, the Ventnor Private Hotel was taken over under wartime legislation by the RNZN and made into the Accommodation for the WRNZNS based in Auckland working at HMNZS Philomel. When compared to the Spartan accommodation at Mount Victoria, the private hotel was an enjoyable luxury. At the conclusion of the war it returned to civilian control. In 1946 the WRNZNS was disbanded by the government. However, in April 1947 following the sailors’ strike, a large number of men left the service creating a severe shortage of personnel. It was decided to reform the WRNZNS in May 1947. The director was First Officer Lorelle Corbin who stayed until late 1963 and was the longest serving director. By 1949 there were ten officers and 120 ratings serving as Wrens. In 1951 they were reformed permanently and continued to serve in shore duties until 1977. At that time the WRNZNS were absorbed into the RNZN, on the same basis as their male counterparts. The first location for the accommodation of the WRNZNS was at 99 Calliope Road, Devonport which subsequently became the HQ for the Commodore Auckland. They were then moved down to HMNZS Philomel which required a range of precautionary measures to prevent curious sailors looking in. However, this was a temporary measure and something more permanent needed to be found. In July 1951, the Ventor Hotel was purchased by the RNZN to be the barracks for the WRNZNS. A year was taken up with refurbishment and the first group of 71 Wrens arrived in July 1952. This was christened as Elizabeth House. The need for further accommodation meant that in 1952 a two-storey building in Calliope Road was purchased and given the name Margaret House. This remained in use until the early 1970s when it was handed over to the Army as mess for senior NCOs. In 1951 they were reformed permanently and continued to serve in shore duties until 1977. At that time the WRNZNS were absorbed into the RNZN on the same basis as their male counterparts. In 1977 the RNZN conformed to Defence Policy in the wake of the Human Rights Commission Act by disbanding the Women’s Royal New Zealand Naval Service (WRNZNS) and commencing the integration of females into the RNZN. The final parade was held on 29 July 1977. The first intake of combined male and female trainees took place in September 1979. During this time of transition Elizabeth House remained in use but by the late 1980s it had served its purpose. When HMNZS Tamaki, the training establishment for the RNZN was relocated to the North Yard in 1993, Elizabeth House was sold off as part of the rationalisation of property. From its launching in April 1942 until its paying off in July 1977 the Women’s Royal New Zealand Naval Service admitted 1655 recruits to its ranks. The following are excerpts taken from NZ Naval Board Reports from 1945 to 1980 which highlight the role they played during that time. 1. Women’s Royal New Zealand Naval Service numbers rose to 518 ratings in July 1945, with 20 officers in August 1945. Owing to demobilization and discharges for marriage and compassionate grounds, the strength of the Women’s Royal New Zealand Naval Service as at 31 March 1946 was 12 officers and 297 ratings and as WRNZNS personnel are in the process of being totally demobilized, no entries were approved after VE Day. 2. Members of the WRNZNS have been mostly employed on demobilization work in Navy Office and establishments as they became available for duties no longer required after the cessation of hostilities. Thus the main category now needed is that of writer, with cooks and stewards and communications branch forming the balance. 3. In response to a questionnaire to WRNZNS personnel asking for volunteers to serve a further period of 6 months, 38 percent expressed themselves willing to continue in the service, but marriage and compassionate releases have since somewhat reduced that figure. 12. Naval W/T Station, Waiouru.-The Royal New Zealand Navy has in Waiouru W/T Station a wireless station equipped with the most modern apparatus and designed on the best technical lines, and of a size far beyond anything that was contemplated pre-war. 13. On the cessation of hostilities the question of the retention of the station was in doubt, but it has now been declared a permanent establishment of the Royal New Zealand Navy. The complement borne during the period of hostilities was 80 WRNZNS personnel and 70 ratings. This number was continued until October 1945, when a gradual reduction in the WRNZNS complement was made, the last WRNZNS personnel leaving in mid-December of that year. For the next few months the station carried a complement of approximately 105, consisting of continuous service and” hostilities only” ratings. The volume of traffic at this time was still fairly high, and it was not until June 1946, that the W/T commitments were sufficiently reduced to allow the last of the “hostilities only” ratings to return to civilian life. The present authorized complement of the station is 3 officers and 70 ratings. 14. The activities of the station consist mainly of working adjacent commands, Whitehall W/T, and, in addition, taking part in the long-distance ship-shore wireless organization. The total number of groups handled on all circuits over the last twelve months was 1,250,000. 23. The Naval Control Service Organization, which functioned at Auckland, Wellington, Lyttelton, and Dunedin during the war, was finally closed down in September 1946. Many expressions of appreciation for the work performed were received from the shipping companies. The demobilization of the WRNZNS personnel was completed towards the end of October 1946. Housing – work has commenced on the construction of twenty-three housing units for naval personnel at Narrow Neck Camp. A block of the Naval Barracks is being altered to provide suitable accommodation for WRNZNS personnel. 20. 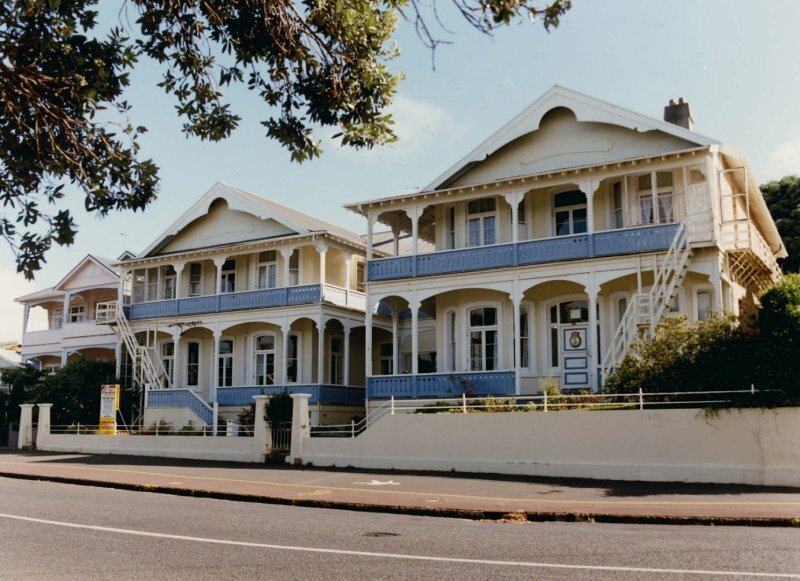 Elizabeth House and Margaret House were completed and commissioned as Women’s Royal New Zealand Naval service hostels during the year. These two establishments can now provide accommodation of a high standard for 91 WRNZNS ratings. This greatly relieved the overcrowding in HMNZS PHILOMEL barracks where one block was previously occupied by members of the Women’s Service. 43. The Women’s Royal New Zealand Naval Service has continued to give exemplary service. The authorized complement is at present 8 officers and 123 ratings, the majority of these being employed in Auckland. The over-all numbers could be increased to the advantage of the Royal New Zealand Navy, but the present accommodation, although of a very good standard, is only just sufficient for the present complement and cannot provide for any increase in numbers without further additions to the existing buildings. 44. Recruiting has been conducted with very little advertisement, although it has been necessary at times to resort to spasmodic advertising to make good the temporary deficiencies in certain branches. It is considered that a slightly wider programme for publicity envisaged for the next twelve months will assist materially in eliminating this fluctuating problem. 45. The percentage of re-engagements for the year just completed was approximately 60 per cent, a very encouraging number, and, of those discharged upon expiry of engagement, about 60 per cent planned to marry shortly after discharge. 46. The over-all training programme for WRNZNS personnel has been stepped up over the past years and the results obtained there from have been more than satisfactory. 47. Typical of the work undertaken by the WRNZNS is chart correcting, signals, sick berth attendants, and stores assistants. 48. The high standard of discipline has been maintained and the morale of this Service is excellent. 70. Until 1954 it had been customary for the Sick Berth Branch to provide the necessary nursing services (e.g., dental chair assistants, recorders, etc.) for the naval dental surgeons. During the period under review a Dental Assistants Branch was instituted. Ratings of this branch are required to have basic nursing training and to undergo a special course in their dental duties. It is considered that this step will do much to improve the standard of dental recording in the Royal New Zealand Navy, an already onerous task in a Service which demands virtually no dental standard of its recruits. 79. The Women’s Royal New Zealand Naval Service has continued to maintain its high standard of service during the year under review. The present complement is 7 officers and 92 ratings. There has been a small improvement in recruiting in certain branches but there is a serious shortage of trained officers. 80. Re-engagement figures continue to maintain a very high percentage. Of those released from the service, the majority were discharged upon marriage or upon impending marriage. Several of those discharged qualified for gratuity. 81. The intensified training programme has continued to be successful and the resulting higher efficiency has been gratifying. 82. Organised days at sea in H.M.N.Z. Ships and visits to overseas naval ships have afforded officers and ratings interesting and instructional opportunities to widen their knowledge of the service. 111. Interest in sport among the WRNZNS has again been lively. Both teams and individuals have met with success in inter-Service and civilian competitions and contributed their share to the success of the Navy as a whole. 119. Four deaths occurred, two being caused by cancer, one by acute inflammation of the brain, and the fourth was caused by a parachute failing to open when a rating, not on duty, was practising jumping. 120. Four hundred and ninety-two male recruits were examined, of whom 411 were passed as fit, an almost identical percentage with that of last year. Forty-three were cadet candidates and of these 36 satisfied the medical examiners. General poor physique accompanying congenital or acquired disabilities, defective vision or colour vision accounted for most of the rejections. 121. Fifty-six WRNZNS were presented for medical examination and 49 were passed as fit. 123. Two ratings of the WRNZNS were discharged medically, both for psychiatric reasons. The complement of the Women’s Royal New Zealand Naval Service at 31 March 1959 totalled six officers and 86 ratings, the lowest it has been for several years. There is difficulty in meeting commitments in some branches of the Service. Recruiting was slightly below normal but the general standard of candidate has remained at a good level. The percentage of re-engagements of time-expired personnel has shown an improvement. Initial and advanced training has been firmly established and good progress has been made. The WRNZNS have increased their already keen interest in women’s sporting activities, having competed successfully with service and civilian teams. A high standard of discipline has been maintained and morale is on a high plane. Sixty-one WRNZNS were examined and 54 were passed medically fit. Forty male ratings were invalided during the year. This represents a rate of 15.02 per 1,000 serving, the lowest figure since 1954 but a figure still considerably in excess of pre-war rates. Almost half the total invalided came from the neuro-psychiatric group and within this group the anxiety reaction states were responsible for over half the total. Four WRNZNS ratings were also invalided, all being in the neuro psychiatric group. The WRNZNS indoor basketball team won both the Auckland league championship and the knockout. Although there has been a slight increase in the number of WRNZNS officers, who now total seven, the complement of WRNZNS ratings has shown a decrease in numbers and, at 31 March 1960, totalled only 81. The vacancies in this latter complement cover most categories. Recruiting was below normal during the year under review and there have been insufficient candidates entered to offset the shortages. The general standard of candidates coming forward has, however, been good. Interest in sporting activities has been retained although reduced numbers of ratings and consequent increased working requirements did not permit as regular participation in certain spheres of sport as in previous years. The standard of discipline has remained at a high level and the morale of the Service very good indeed. Chief Wren Lorna Evelyn Coles was awarded the British Empire Medal (BEM). Sadly Lorna passed away in Auckland, 4 April 2009. A small epidemic of German measles was experienced coincidentally with the civil epidemic. The majority of cases were reported from HMNZ Ships PHILOMEL and ROYALIST, while the new-entry training establishment, where a high incidence was expected, escaped with only six cases. Six deaths during the year under review are recorded with regret. Four hundred and six male recruits were examined, of whom 64 were found unfit for service, mainly due to failure to reach the minimum physical standard required and failure to reach the visual standard required far seaman candidates. Forty-eight candidates for the WRNZN Service were referred for medical examination and 40 of these were passed as medically fit. A deterioration in sick berth staff manning which has been evidenced far same years has not been arrested, and further consideration has been given to obtaining authority to recruit ex-RN sick berth ratings from the United Kingdom. Attempts are also being made to increase the establishment of nursing sisters and of WRNZNS sick berth ratings. These two measures, as a short-term policy, will assist the manning of the Royal New Zealand Naval Hospital but they will not solve the long-term problem of suitable trained male ratings far the sea-going ships. The WRNZNS complement at 31 March 1962 totalled nine officers and 69 ratings. Although the officer complement is up to strength the number of ratings is below requirements, and has shown a decrease on last year. Mainly because of a reduction in the entry age to 17 1/2 years recruiting has shown a slight improvement. However, once again this year the total entry did not offset the total discharges and shortages exist in most categories. The standard of discipline and the morale of the Service have remained at a high level. Two deaths are recorded – a member of the WRNZNS being drowned whilst on leave and a male rating killed in a motorcycle accident. The rejection rate for male recruits was the lowest for many years. Failure to reach the minimum Naval visual standard, asthma, and chronic skin diseases were the principal causes for rejection. The rejection rate for WRNZNS was approximately the same as last year. 47. The WRNZNS plays a very useful part in manning shore establishments of the RNZN. The WRNZNS strength on 31 March was eight officers and 101 ratings, an increase on the previous year. Recruiting was satisfactory. The Women’s Royal New Zealand Naval Service continues to play a most useful part in manning shore establishments of the RNZN. On 31 March the total strength was nine officers and 95 ratings, with a trainee class of 14 awaiting entry. These 14 were expected to bring the WRNZNS to the maximum number able to be accommodated. Recruiting continued to be most satisfactory. The strength of the RNZN on 31 March 1965 was 2,976, comprising 314 officers, 2,551 ratings, 10 RN officers and 2 RN ratings on loan, 10 WRNZNS officers, and 89 WRNZNS ratings. Four naval personnel were serving with the Defence Office at that date, giving a strength of 2,972 carried on the Navy subdivision of the Defence vote. These figures represent an increase of 17 in the officer strength since 31 March 1964 and a decrease of 76 ratings. Recruitment for both the RNZN and WRNZNS during the year was generally satisfactory, although there is a continuing need for improved officer recruiting. The strength of the Navy on 31 March 1966 was 2,922, comprising 305 officers, 2,506 ratings (including 66 General Duty servicemen), nine British officers and two British ratings on loan, 11 WRNZNS officers, and 89 WRNZNS ratings. This total includes naval personnel serving with the Defence Office or in liaison appointments overseas. Recruitment for the Navy, including the WRNZNS, during the year was at a satisfactory rate, although there is still a need for improved officer recruitment. It is not yet possible to determine any trend in re-engagements reflecting the improved pay scales introduced by the 1965 pay review. The strength of the Navy at 31 March 1967 was 2,934, comprising 317 officers (including 5 British officers on loan), 2,518 ratings, 11 WRNZNS officers, and 88 WRNZNS ratings. This total includes naval personnel serving with Defence Office and in liaison postings overseas. The Navy’s strength is 856 under the regular establishment ceiling. The strength of the RNZN at 31 March 1968 was 2,912 comprising 316 officers (including 4 Royal Navy Officers on loan), 2,492 ratings, 10 WRNZNS officers, and 94 WRNZNS ratings. This total includes naval personnel serving overseas and in Defence Office posts. The Navy’s authorised ceiling strength was 3,018. During the year 723 personnel received basic training; of this total a significant number of women (109) completed their basic training, reflecting the increasing interest of women in a career in the Navy. As at 31 March 1980 the strength of the RNZNVR divisions stood at 371, a slight decrease from 384 a year earlier. Although the manpower ceiling was raised from 400 to 500 during the year, further increases in the ceiling will be necessary before the Reserve is able to carry out fully its new function of supplementing the RNZN particularly in the resource protection role. Recruiting to fill these new positions is proceeding satisfactorily and a number of former regular naval personnel are now joining the Reserve. 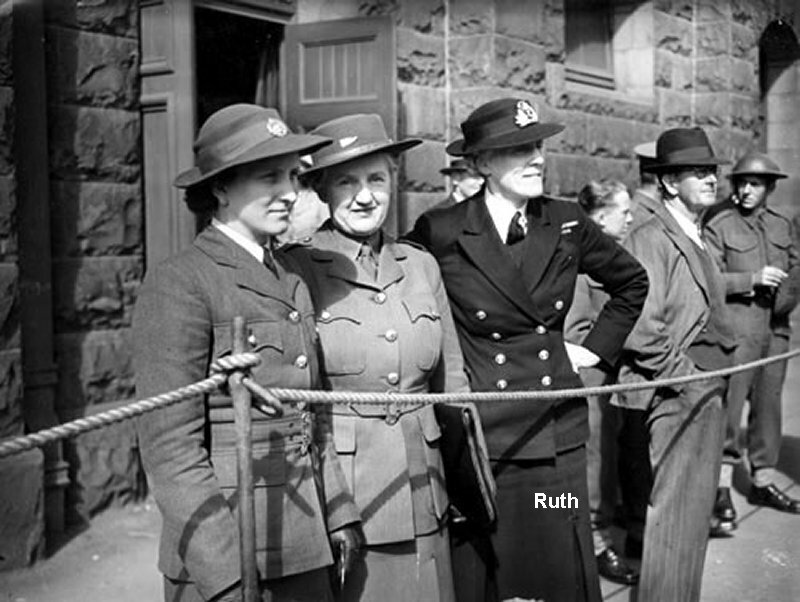 During the year the first female recruits joined the RNZNVR. With the approval of the New Zealand Governor-General and the Chief of Navy, our new title has been granted. We are proud to be able to use the word “Royal” in our new name. Our fine history began in 1942 with the establishment of the Women’s Royal New Zealand Naval Service. Its inception allowed women to do the jobs of the men, so that they could be released to serve at sea. War Wrens served with distinction in many arenas of WWII, some so secret it stayed that way for 40 years. Since the war Wrens continued to serve overseas and in various parts of New Zealand, ashore and afloat. By the time the Wrens amalgamated with the Royal New Zealand Navy in 1977, 1655 women had been in the WRNZNS. Today women in the Navy serve alongside the men at sea and ashore. We would like to encourage these women to join our Association. Our members live all over New Zealand and in other parts of the world. Our core goals are to foster the comradeship and close ties we all gained from serving in the WRNZNS and the Royal New Zealand Navy and to support our members in many different ways. We achieve this by holding meetings, special events, Combined Services Luncheons, our Annual Church Service, newsletters and reunions. The next reunion will be held in 2012 in Auckland to celebrate the 70th Anniversary of the establishment of a Women’s Royal Naval Service for New Zealand. The Royal New Zealand Naval Women’s Association Inc, is open to all women who have served in the WRNZNS, RNZN, RNZNVR or any Commonwealth Navy. We welcome new members. For further information, contact the National Secretary, so that you too, can rekindle the camaraderie and friendship of days gone by. I am a member of the RNZN ex communicators group but am not sure if i am a member of ex WRNZNS (daft I know). I served February 1963 until October 1968 in signals branch. I am now Teaching Deputy Principal at an intermediate school – not a a lot changes in the workplace though. it was very nice to read all this, and some of the other stuff on the website too. Jan, Great to hear from you. The Ex Wrens Assn is run by Jill Thompson so I will forward your request on to her and she can confirm your membership of that association. As you would have seen from the history section of the Blog, we are putting together the history of the Signal Wrens. I am sure that Sandy Watson who is a committee member responsible for this Chapter will soon be in touch as much is unknown of the era which you served. Kind Regards. I am trying to make contact with BEVERLEY MARGARET PURCELL (maiden name) who served as a WREN in the late 1940s. If anyone has any information about Beverley I would love to make contact so that I can complete a link in the family tree I am working on. I may be able help with your family tree, having researched the Purcells of Australasia the past 30 years. Email me at gerryp66@hotmail.com. Jan [ Kips] just seen this dit from you only a couple of years after the fact. Are you still living in Tokoroa. Blue. My Mother Norma(Rowe) Duncan aged 94yrs has just died .She was the first Wren chosen from the Waikato Region during WW2.She was a signaler at Bigan ( spelling ) Hill Wellington.